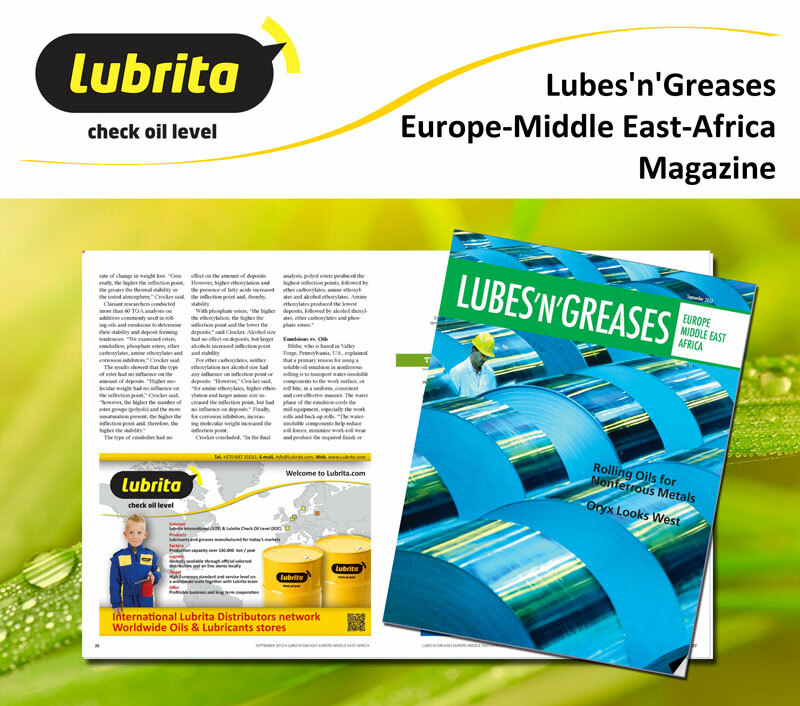 Lubrita lubricants advertise on Lubes'n'Greases Europe-Middle East-Africa magazine. Independent regional lubricants business magazine for and about the lubricants, base oil, additives and lube packaging industries in Europe, the Middle East and Africa. It reports on marketing and technology trends, raw material supplies, regulations and OEM specifications, and the challenges faced by end users of lubes and greases and the solutions that meet their needs. Every issue includes breaking news, in-depth features and informed opinions. Follow Lubrita news on Global scope!